Tom had a wonderful day. 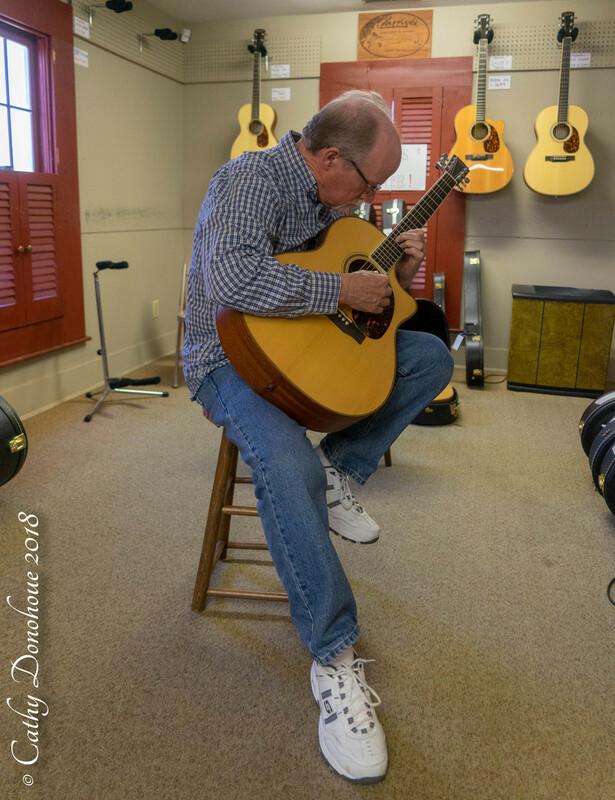 We went to a little guitar store in Coshocton, Ohio - Wildwood Music - and he got a handmade guitar made by Jean Larrivee. The wood is from a 500 year old grove of Alpine Spruce log which came from a special grove north of Cremona, Italy; this is where Stradivari got his tops for his now multi million dollar instruments. The body is and east Indian rosewood. It does sound beautiful. Nice candid show. I am sure he was very excited to get to sit and play it in the store. Very nicely composed shot with great detail... and nice capture of his complete focus on his new guitar. Looks nice, too. Looks like he has a lovely guitar collection. Nothing like a Spanish guitar. sounds like a composition for great music.